﻿﻿An eager young scientist has brought to life a dangerous flesh-eating dinosaur by crossing its DNA with that of his pet dog, Freddie. 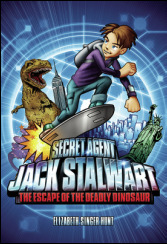 Can Secret Agent Jack Stalwart capture the dinosaur before it destroys New York City? Off the coast of Australia, a diver has vanished and along with him an unknown treasure from the wreck of the HMS Pandora. 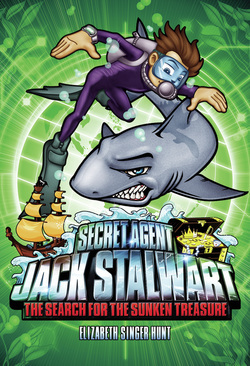 Can Secret Agent Jack Stalwart find the diver and defeat a deadly band of pirates before they sail away with the treasure forever? England’s most prized possession, the Crown Jewels, has vanished from the Tower of London. 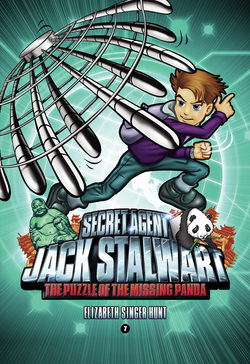 Can Secret Agent Jack Stalwart triumph in his battle against a master magician to save the Jewels before they go missing forever? Someone has been killing precious African elephants for their tusks. 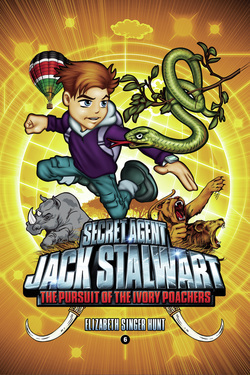 Can Jack find the poachers and stop them before they strike again? 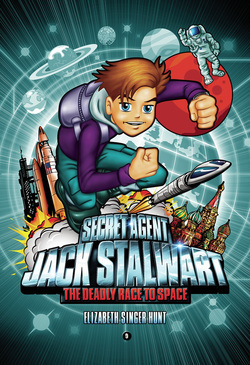 ﻿Jack’s car-racing hero, Morgan Parks, is in danger. Someone has already tried to harm him once, and they’re about to try again. 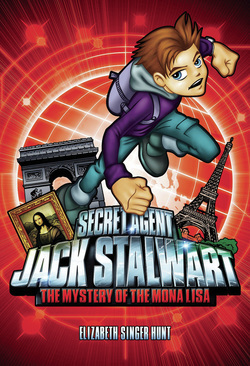 Can Secret Agent Jack Stalwart save his idol and the Italian team's chance to win the Monza Grand Prix? On the eve of the first manned mission to Mars, a madman has kidnapped the space project's chief engineer. 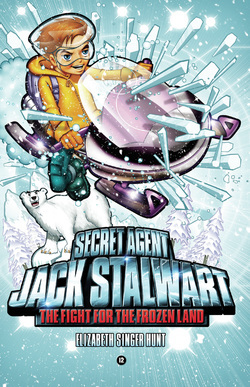 Can secret agent Jack Stalwart save the day and keep his cool when he finds out that the missing engineer is his Dad? 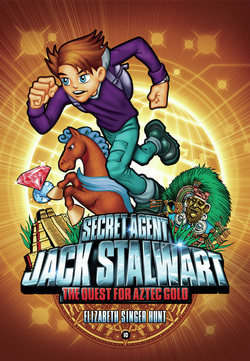 One of the most treacherous treasure hunters in the world has stolen a map that leads to hidden Aztec gold. 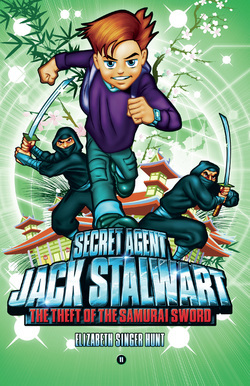 Can Secret Agent Jack Stalwart stop him and his band of thieves before they plunder again? A plane carrying a team of scientists has gone missing over Mount Everest. They were thought to be carrying a Yeti skull - proof that the Abominable Snowman really existed. 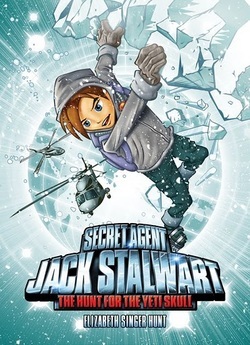 Can Jack and his fellow agents use their climbing skills to brave the highest mountain on earth and recover the priceless skull? 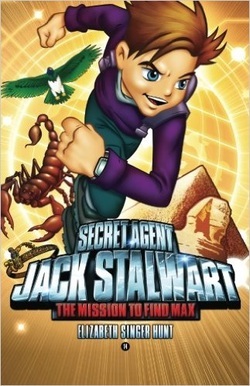 The Global Protection Force refused to share any details with Jack about his brother's whereabouts, but on two previous missions, Jack had collected clues that pointed to Max being in Egypt. 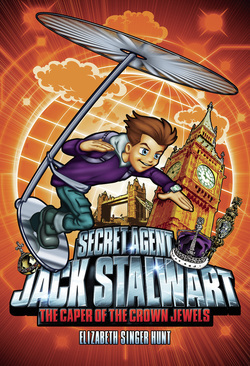 Now Jack has reason to believe that King Tut's powerful diadem - or crown - is the cause of Max's disappearance. 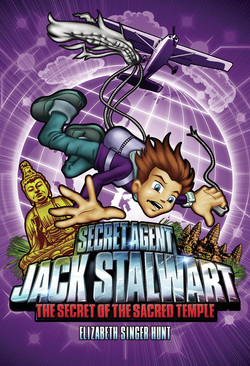 Can Jack prevent an ancient and terrible curse of the pharoahs from wreaking havoc and finally save Max?